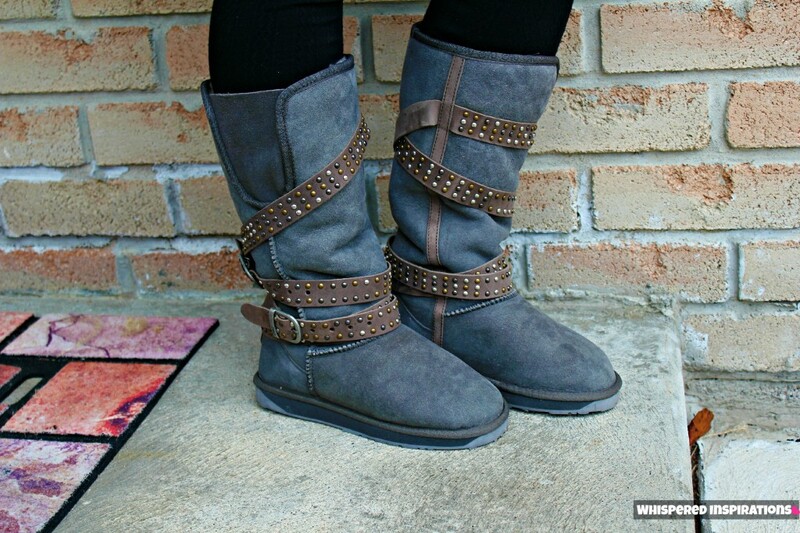 Can’t Go Wrong with EMU Boots! 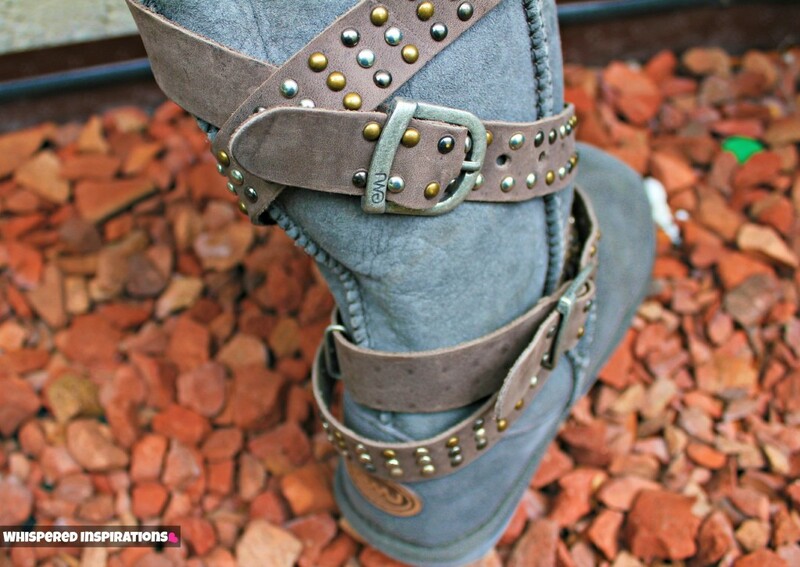 If you’ve never heard of EMU boots, well–you’ve been missing out! EMU is a proud Australian born, Australian based and Australian owned brand that has passionately produced the world’s finest premium sheepskin and Merino wool products for over 15 years. 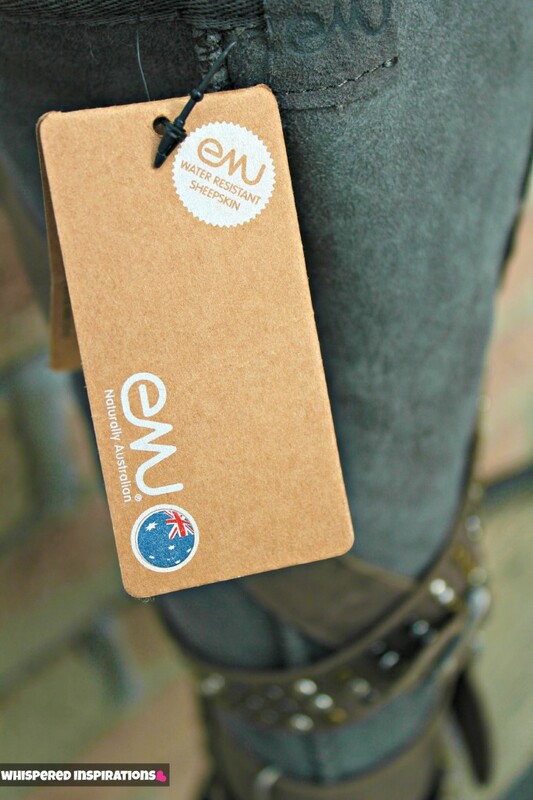 EMU (pronounced eem-you) is authentically Australian and are made from raw, quality Merino wool. Made from authentic Australian sheepskin that is unbelievably soft to the touch, substantially and deliciously warm and water-resistant. The sheep skin also wicks away moisture and with these boots, you are ready to face the chilly or not so chilly temperatures wherever you go. EMU doesn’t only specialize in footwear, they have apparel and tons of fabulous accessories that you will L-O-V-E! I think I own more boots than any other type of shoe and when the lovely people of EMU were gracious enough to send over this pair of EMU Maloo Boots, I was blown away. The quality is visible as soon as you take these gorgeous beauties out of their box. The leather straps and buckles give it that rugged yet stylish look and it’s functional as well. You can adjust the buckles and straps for a nice snug fit. These boots are in a gorgeous Charcoal color that can match with many different colors and retail for $349, you can see other styles–here. The moment you step into these boots your foot is in heaven, the wool is so soft and the foot bed is cushioned. It doesn’t feel like you are wearing boots. Light and cushioned. So, to “break them in”, I decided to wear them out for an entire day of shopping stateside. They didn’t need breaking in. My feet were nice and warm but, not sweaty. It was a chilly day and my feet were snug and warm. The sheepskin lining is what helps with that, since the wool will keep you nice and cool in warmer temps and warm in cooler temps. I just can’t get enough and I simply have all positive things to say about EMU Australia, I’ve been wearing them so much and they have held up so well. What I love the most is that they are water-resistant since I own so many boots, I worry about water-damage or that pesky salt that we have here during the winter. I’m excited to see how they will do in those conditions and I’ve already been through rain and they look absolutely FABULOUS! To see how resistant they really are, check out this video! The Merino wool is a big seller for me and the sheepskin of course, you can smell it and I love it! Another thing that sets this style of boot apart from others that I own is the noticeable molded heel cup, it gives the boot shape and provides support when you walk. I like how they don’t look so boxy because of the heel cup and the outside sole is made out of rubber but has a light EVA insole that you can see. 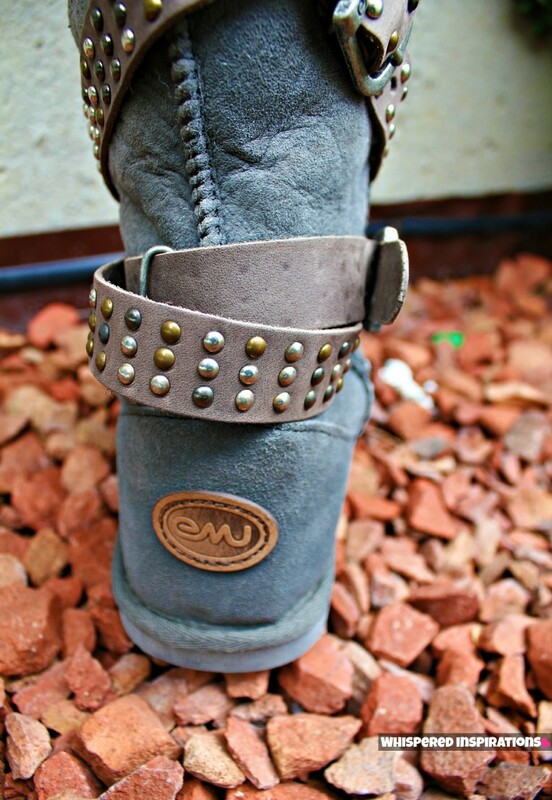 I think any lady in your life or even if the lady is you, you will love EMU boots. I know when it comes to quality and functionality, EMU is the way to go. I’ve tried other comparable brands and for the price you are paying, EMU makes it worth it. They are a company where you can see the attention to detail, they care about where they obtain their resources and raw materials and worry about their environmental foot print. So, this is another perfect gift for ladies, men and children! These gifts are amazing, what do you all think? Perfect for the whole family! I don’t know about you but, I love getting a new set of gloves, scarf and mittens for Christmas. I think Hubby will have to buy me #9 up there to go with my Maloo boots. For more information you can go to EMU Australia and check out all the FA-BU-LOUS selection to gift his holiday season. 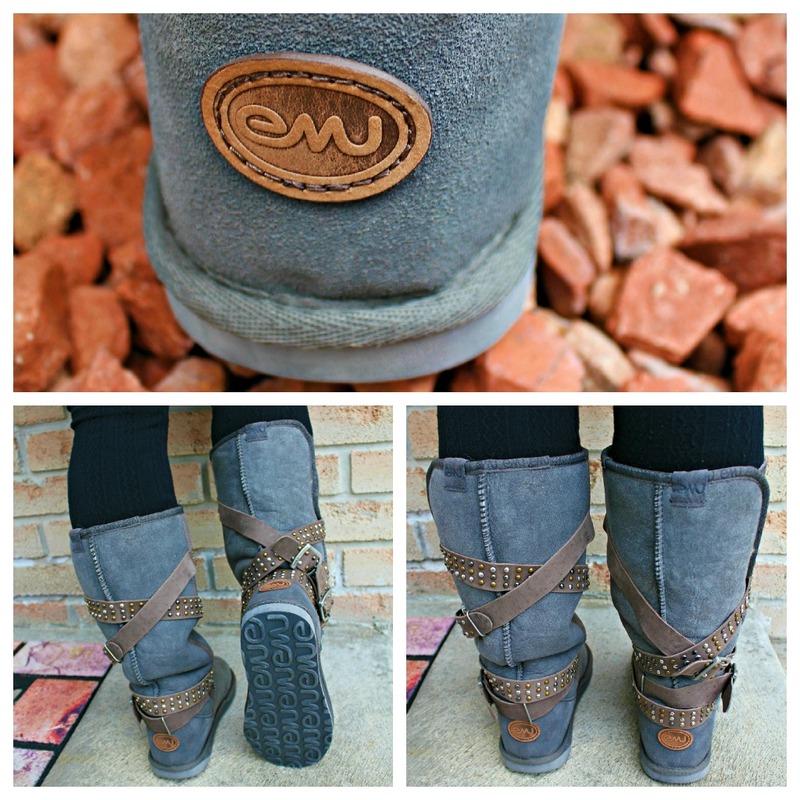 You can like EMU on FB for up to date selections and follow @EMUAustralia to stay current too. Do you have a shoe fanatic in your life and are shoes always on their list? Previous Post: « Strawberry Shortcake: Follow Your Berry Own Beat Show is Coming Your Way! Wow! I love the variety of products they have! I have never heard of this brand before! Love, love, love! Hey, your photos are amazing, btw!!! My recent post Make Your Own Crystals! Great Kids' Science Experiment! Gorgeous boots, Nancy! Enjoy them, they look truly fantastic. WOW those are beautiful! I love the details! Great boots! thanks for sharing! I love these. They don't look as clunky as some others do. I have big feet and hate wearing stuff that makes the feet look too big. Where can i find these boots ive been looking for them for 2 years!! I got them from their site. 🙂 But, it was several years ago. Darn i have been looking for them for years!! !